Depart ABERYSTWYTH 9am. Arrive HOLYHEAD 7-30pm. Departing 9am prompt from The Promenade, Aberystwyth, SY23 2BA. PLEASE ENSURE YOU ARRIVE WITH A FULL TANK OF FUEL. A big favourite day of the 5 day event. 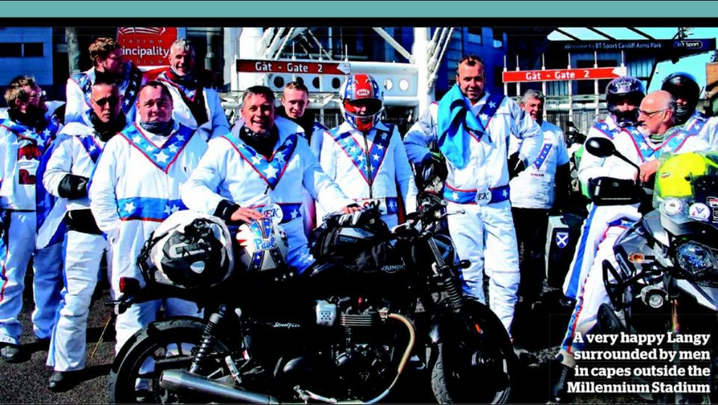 We depart Aberystwyth promenade 9am prompt. We have a briefing before we leave as we ride as an organised group with a drop off system. 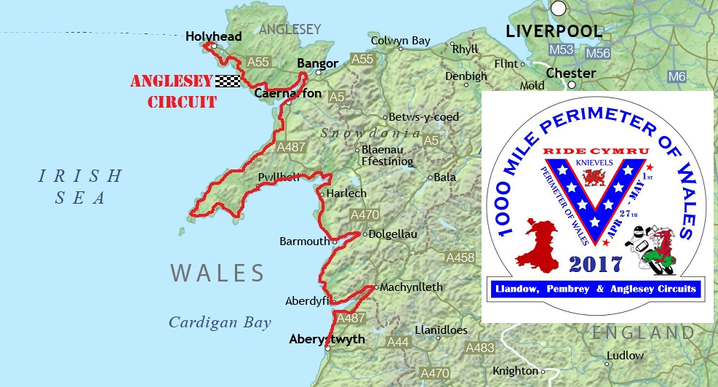 West Wales bikers join us here! Following the circuit, the daily 'sting in the tail' is the hotch potch maze of lanes to South tack lighthouse before the day concludes at Holyhead 7-30pm. We suggest the Travelodge, Holyhead for cheap accommodation. Plenty of B&Bs in town, but remember this is a bank holiday weekend - BOOK EARLY. Holyhead is our 'last night' of the event, so we leave an hour later in the morning! Tesco café on the 'old' A5 out of town to refuel & try breakfast in the morning.